Matt Rutherford graduated from Eagle Rock way back in August of 2001 (ER 24 as we call it around here), and according to Robert Burkhardt, our founding head of school, this former student is being quite productive these days. Ride a mountain bike across Laos, Cambodia and Thailand. Sail alone across an ocean. Start and run a not-for-profit organization focused on addressing important environmental issues. Well, after leaving Eagle Rock, Rutherford did ride his mountain bike across those three Southeast Asian countries. He did sail across an ocean (in fact, he became the first person in history to complete a nonstop, single-handed voyage circumnavigating North and South America; that’s 309 days and 27,077 miles on the ocean without stepping ashore even briefly to stretch his legs). 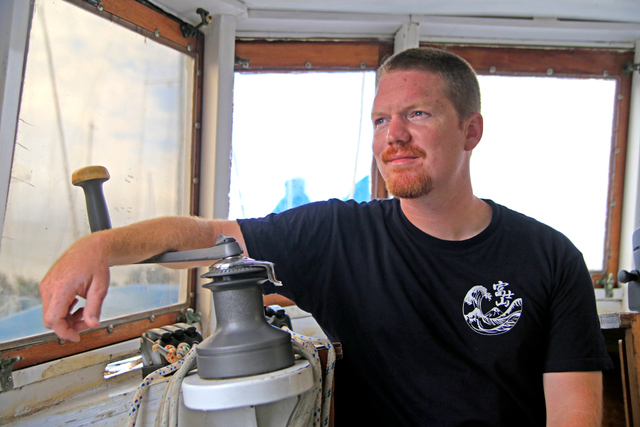 And he did start a not-for-profit organization that’s deeply focused on positively impacting the environment — the Ocean Research Project aims to identify new, lower-cost methods of conducting ocean-based research. Burkhardt said he tried to get in touch with Rutherford last month to find out what this grad was up to these days, and the former student’s voicemail recording announced he wasn’t taking messages. It suggested callers ring back after Feb. 1. 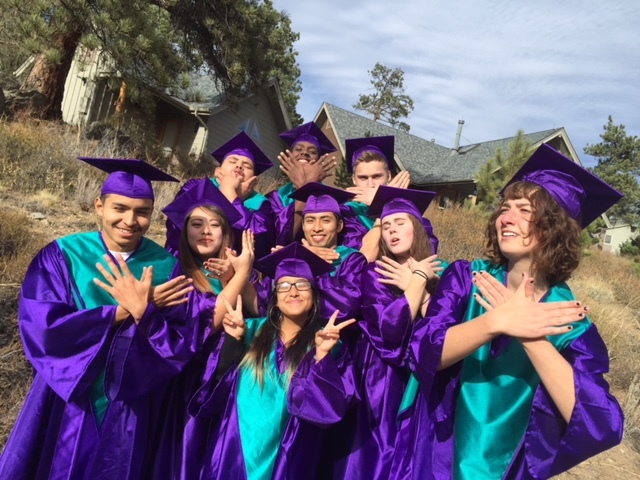 Editor’s Note: In today’s post, our own Public Allies Fellow for the Eagle Rock Professional Development Center – Mary Reid Munford – introduces you to Eagle Rock’s latest graduates: Diego Matamoros, Grace Huang, Tiana Matos, and Tehya Brown. His counselor recommended Diego enroll in an Outward Bound course, and although it provided a good break and school credit, he slipped back into his old habits when he got home. After his mom caught him skipping school during his senior year, she pulled him out. It was at that time that he considered attending Eagle Rock, an option first suggested by his Outward Bound instructors. He was already 18 years old and two weeks away from earning his GED, but after a “great conversation” with our own director of students, Philbert Smith, Diego began seriously considering a move across the country to enroll and complete his high school education. Diego plans to combine these interests next year as he applies to colleges in New England and the Midwest to learn more about music therapy. Grace Huang was 11 years old when an American family adopted her. After spending her childhood in La Paz, Bolivia, she flew across the globe to start a new life in Boston, Mass. She attended school there until two years ago, opting to make another move — this time across the country to boarding school in Colorado. As with most students, the transition to communal living was the most challenging aspect of Grace’s move. “The hardest part was having to be in a community with people I’m not used to or want to be around,” she said. The quaking aspen leaves basked on the Eagle Rock esplanade, maximizing their sunlight intake as they reveled in the longest day of the year. Shortly after the summer solstice sun set on that June 21 day, the Eagle Rock campus was drenched by a “supermoon.” That’s when a full moon reaches its closest point to the Earth each year. 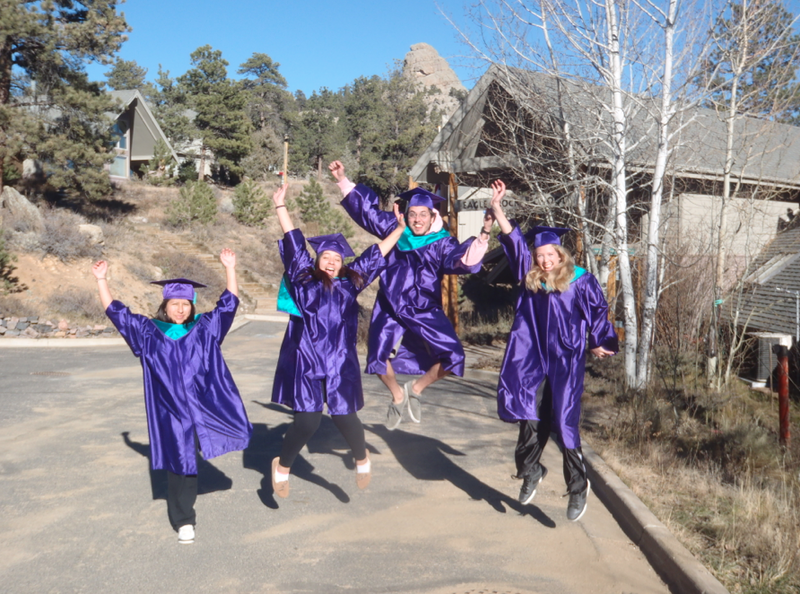 These big and beautiful celestial events were befitting for a gathering of 10 Eagle Rock School alumni — tasked with initiating a process to connect and maintain the orbits of every Eagle Rocker arriving through the gate over the past two decades. When people live and work in the Eagle Rock community, tight bonds are formed, and many of these close associations continue well after walking out that same gate to the next stages of their lives. Head of School Jeff Liddle believes a family that has been growing for 20 years needs some extra help in order to remain close—keeping our orbit around the Rock. Liddle and five of Eagle Rock’s Public Allies fellows formed an alumni engagement focus group intent on bringing former students, staff, and fellows for a weekend together to formulate plans to build our alumni network. The weekend was highlighted by eating delicious meals in the Lodge (the vegan sausage and peppers were my favorite), watching an impressive production of the play In the Blood, and playing a rousing game of soccer with a Shaman versus Bonepipe mash-up. My lungs struggled to keep up with the high-altitude dwellers. The crux of the weekend was the time we spent discussing and planning ways to engage Eagle Rock School alumni.